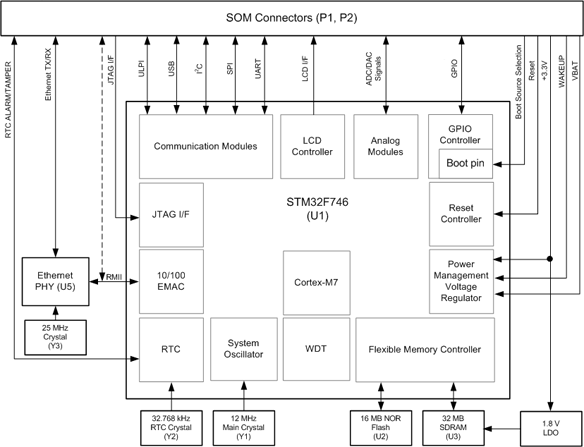 STMicro announced their STM32F7 MCU family the same as ARM announced their latest ARM Cortex M7 core for high-end micro-controllers last September. 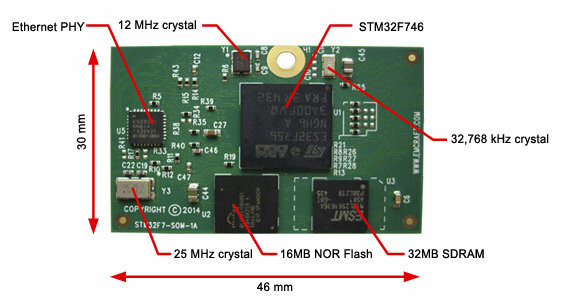 Emcraft Systems have now launched a STM32F7 system-on-module with 32MB SDRAM and 16MB NOR flash, and ported uClinux to the platform. 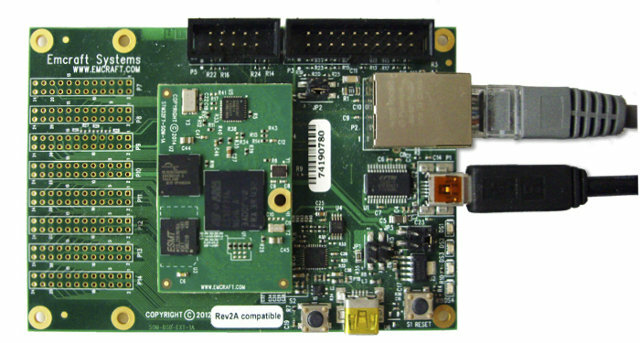 The company has also launched a STM32F7 starter kit for evaluation and development. Both target industrial automation, system and power management, wireless networking / sensors and other embedded applications. The company provides U-boot and uClinux 2.6.33 source code, binary images, and documentation for the module, as well as hardware documentation. You can watch the demo showcasing fast boot to Qt (4s) and the performance of the system on a Qt based user interface, which is said to have greatly improved over STM32F4 thanks to ART accelerator and L1 cache in STM32F7. The starter kit can be pre-ordered for $159, and the STM32F7 SoM sells for $27 per unit in 10K+ orders. Software and hardware documentation, and pre-order links are available on Emcraft’s STM32F7 SoM product page. The company is also getting rid of stock of their older starter kits based on Microsemi SmartFusion (Cortex-M3 + FPGA) and NXP LPC1788 for $49.